Sweetwater is the latest company to announce the ‘best of the best’ of their many Black Friday deals for this year. 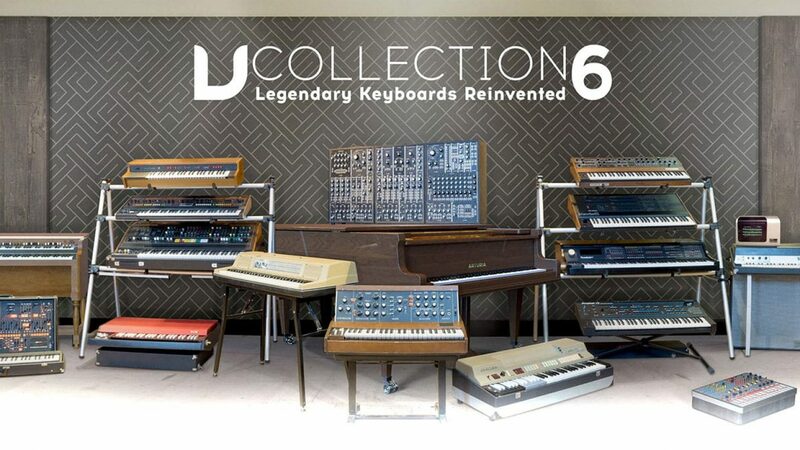 However, the one that’s been catching eyes of producers, keyboard and synth enthusiasts alike is their offer of the Arturia V Collection 6 package of keyboard related software instruments. From now through December 4th, anybody can grab this entire package of 21 total vintage software keyboard and synths, and save a whopping 50% off of the full retail price. So for those of you who are big fans of incredible sounding synths, electric keys, clavinets and more, but don’t want to have to shell out hundreds to thousands of dollars to get it, this exclusive year-end offer is your best friend. As mentioned above, this amazing deal will not be around for long. In fact, it’ll be gone on December 4th, giving you just under 3 weeks to take full advantage of this offer. The full retail price that Sweetwater offers this bundle for is $500, which on its own is a completely fair price for this massive bundle of quality instruments that Arturia has produced. While the offer stands, you can immediately start playing these keyboards for a mere $250, or set up financing at just $11/mo. for 24 months. This is absolutely stunning for this whopping collection, so make sure you head over to Sweetwater.com to grab it at this price while you still can.